Gunmen dressed in military uniforms have kidnapped dozens of people in Iraq. 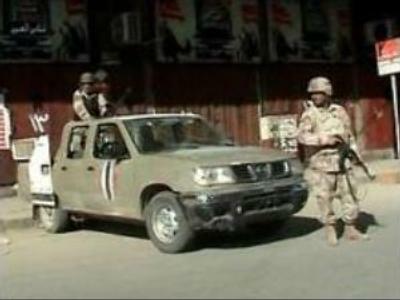 The abduction took place in an industrial area in central Baghdad. Police say as many as 70 Iraqis may have been taken. Meanwhile, the streets of the Sadr City area of the capital were quiet following the deaths of two Iraqi explosive experts late on Wednesday. They were killed as they attempted to dismantle a car bomb. The explosion scattered nails around the streets and injured 4 civilians. Rumours of additional bombs in the area have kept people at home and authorities have stepped up security. As the situation in Iraq reaching breaking point, 6 members of the U.S. Congress have arrived on a visit to Baghdad. Senator John McCain, a possible presidential candidate is among them. He said the US needs to deploy 15,000 – 30,000 more troops, if flaring sectarian violence is to be brought under control. It's more food for thought for President Bush, just days after the Iraq Study Group suggested pulling troops back, not adding more.